The scam consists of fake emails made to look like EZ Pass invoices. But the emails lead to a computer infection and a phishing scam. 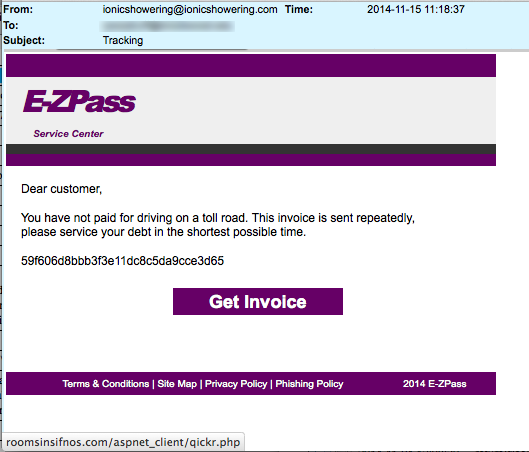 Click to download a pdf version of one of the scams from the EZ Pass website. Is EZ Pass Contacting You? It may be a scam – from Consumer Reports. I guess you can’t believe everything you read….